Custom Design gown as well as one of kind couture wedding dress collection, in our boutique in Orlando Florida. 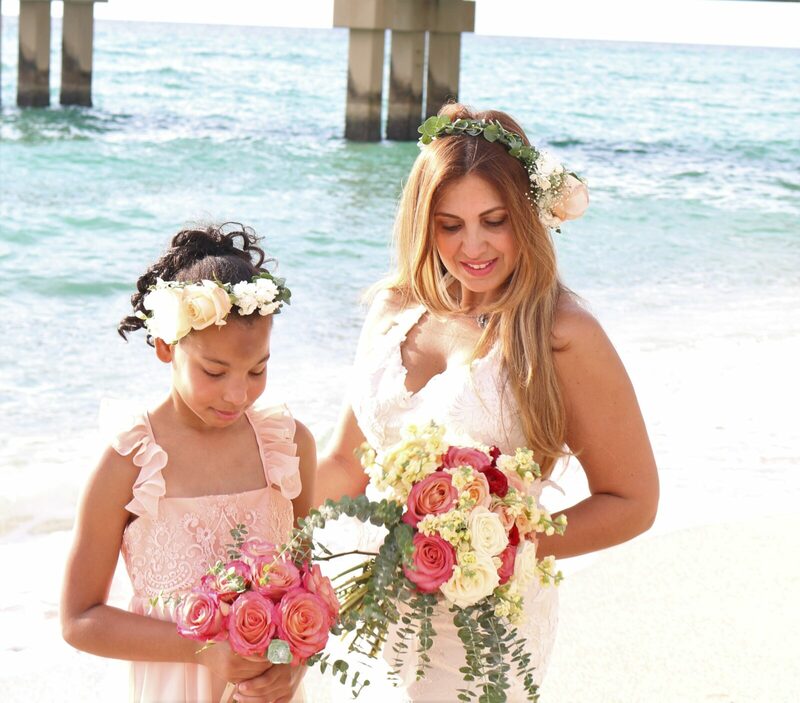 Twenty five years of experience Sira D’ Pion offers a large collection of wedding dresses, flower girl dresses, veils and accessories. With the most beautiful fabrics and embellishments from all around the world. Excellent high quality in every garment and product.Hhundreds of happy customers are a testimony of a great services and expertise. Bridal & Formal by Sira D’ Pion is the perfect place to get your dream dress, from her One of a kind collection or the dress of your dreams. We custom design dresses from, fairy tail princess gown to Bohemian style. including country style wedding dress, beach wedding dresses, rustic style gown, country style wedding and more. Our large selection of fabrics. French lace, Guipur lace, Chantilly, re-embroider lace, tulles and Silks, satins, organza and more. All suitable for that special gown to be combined with the most exquisite beadings and crystals. Take the opportunity to select your own fabric combinations, colors, style and design. To be the perfect bride with the perfect dress for your special day. A custom design gown will be made it with your unique body measurements, and to complete you perfect look have a custom made veil and accessories. The perfect headpiece and wedding dress sash to complete your unique look for this unforgettable moment, to be remembered with happiness and joy with you family.